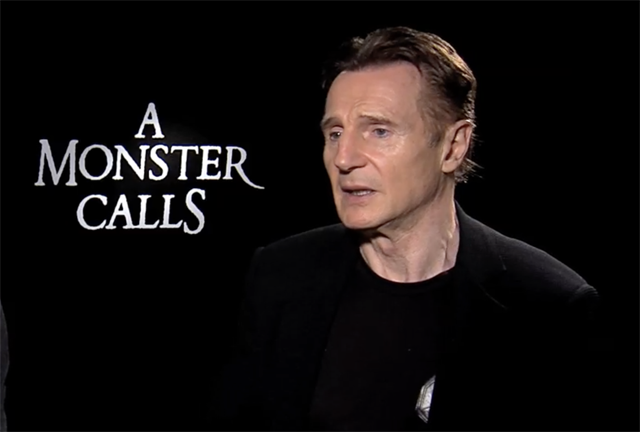 Focus Features invited ComingSoon.net for exclusive video interviews with the A Monster Calls cast, including Liam Neeson, Sigourney Weaver, Lewis MacDougall and director J.A. Bayona! Learn about how they balanced fantasy with grounded drama, as well as the rigors of performance capture in the player below! Also, be sure to check out this recently-released video of Neeson reading the original storybook! A visually-spectacular drama from the acclaimed The Orphanage and The Impossible helmer Juan Antonio Bayona, A Monster Calls is based on the award-winning children’s fantasy novel by author/screenwriter Patrick Ness. The story concerns 12-year-old Conor (Lewis MacDougall) as he attempts to deal with his mother’s (Felicity Jones) illness and the bullying of his classmates by escaping into a fantastical world of monsters and fairy tales that explore courage, loss, and faith. A Monster Calls is opening in limited theaters on December 23 before expanding wide on January 6, 2017.